Here at South Decatur we are entering into day three of our 21 day “Love Fast”. Many people fast because they want to see more of the glory of God. They want to see God manifest Himself in the church. Maybe they fast because of a problem that they face, or a sickness they suffer, or they may want more of God in their life. Some people fast because they want to see the church grow and they want to see the Holy Spirit move in the church. 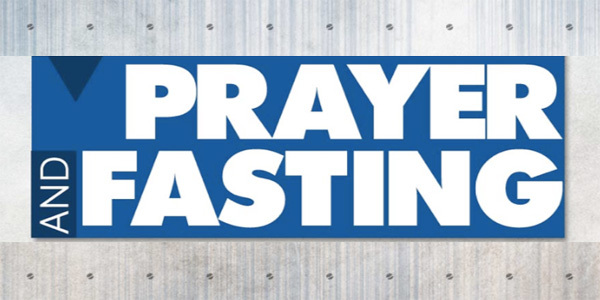 What ever the reason, fasting and praying is something that every Christian should do. But the thing that I have learned is that fasting is first and foremost of a denying of the flesh, and the first thing that has to happen is, I have to see in me what God sees. When I fast one of the first things that happens, no matter what the reason for my fast may be, is the Lord begins to reveal in me things that need to be changed; the things that are holding me back, as well as things that are separating me from being all that God wants me to be. In the text Jesus tells them that they could not do this miracle, not because they had not fasted or prayed, but they could not do it because they had unbelief. Then Jesus tells them that the kind of faith that was needed to perform such miracles only came by prayer and fasting. In other words the prayer and fasting would show them things inside of them that was holding them back from completing God’s will in their life. Now with that in mind, I began to realize if I was unwilling to see my short comings during a time of fasting and praying, there was no way that I was going to see the things that I wanted to see through the fast. I mean if I am not willing for God to change my life during this time of fasting, I am not going to see the manifestation of God’s power in my life. The truth is if we are unwilling to look within ourselves and make a change, all we are doing is skipping meals. Because if we are unwilling to change what God reveals to us or if we refuse to acknowledge it at all, then we can never be at the place of faith to be used by God to perform the things that He has for our lives. Fasting starts with us, it is about getting ourselves in the right position with God. Fasting is about detoxing the soul and when we do that then we can have the faith to pray for the other things that we are seeking God for. So as you fast during this 21 day period, or any other time in your life please allow God to show you what needs to change inside of you. Once He does, make a change through Him and then see what God will show you and do through you.